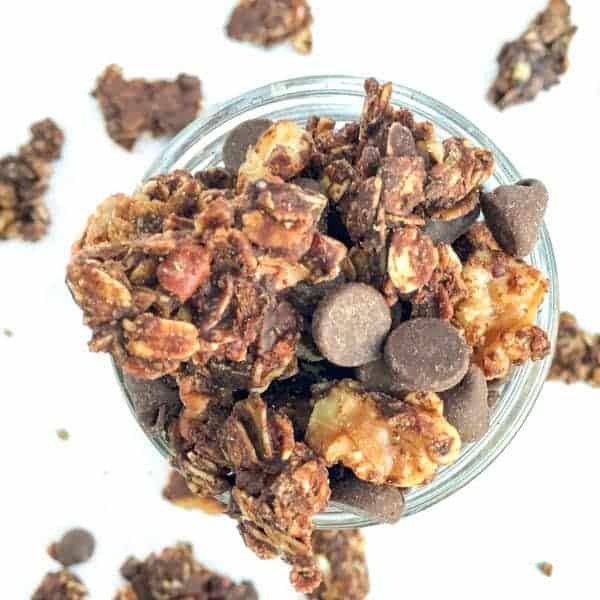 This molasses cookie granola recipe is made with hearty oats, crunchy pecans and warm spices like cinnamon, ginger and ground cloves. This time of year my husband becomes the star of the kitchen, whipping up batch after batch of his famous cookies, Hermit Bars. If you don’t know what a hermit bar is, run, don’t walk, to your kitchen and bake up these cookies immediately. A New England specialty, hermit bars as essentially a chewy molasses cookie filled with all of your favorite warm spices such as cinnamon, ginger and cloves. 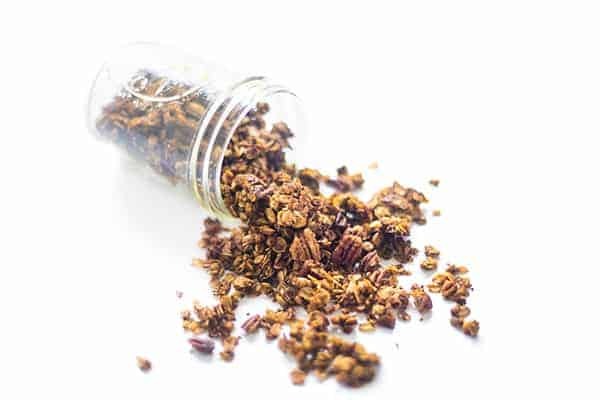 In an effort to create a healthy sweet treat that is filled with those same irresistible flavors of the season, I decided to create this Molasses Cookie Granola recipe. 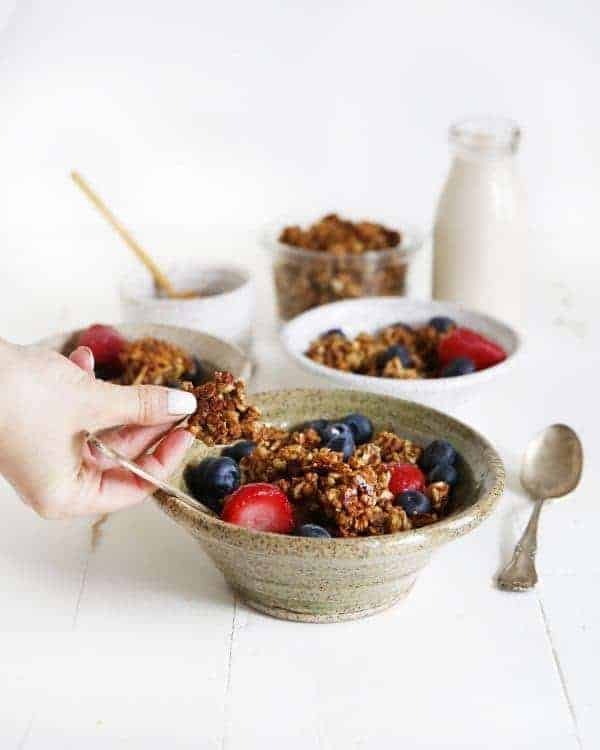 Packed with hearty oats, crunchy pecans and plenty of molasses, each bite is better than the last. 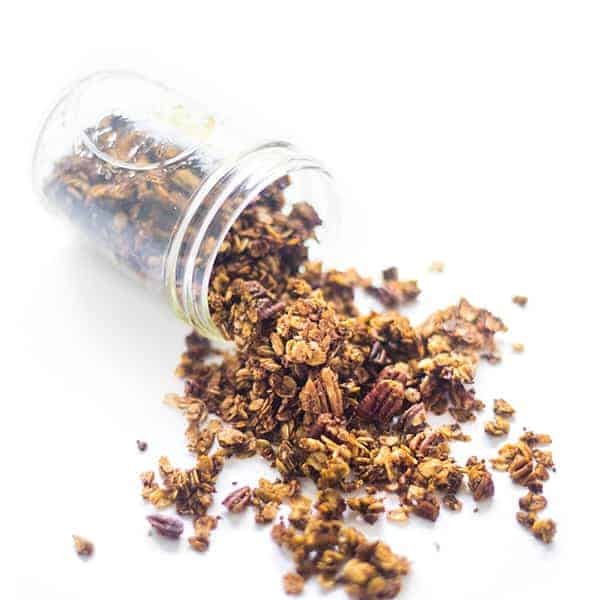 Ground cinnamon, cloves and ginger are combined with a pinch of salt resulting in a perfectly balanced and oh-so-delicious granola. It’s great for sprinkling over Greek yogurt in the morning or stashing in your purse for a busy day snack on-the-go. Need an edible holiday gift idea for teachers, coworkers or friends? 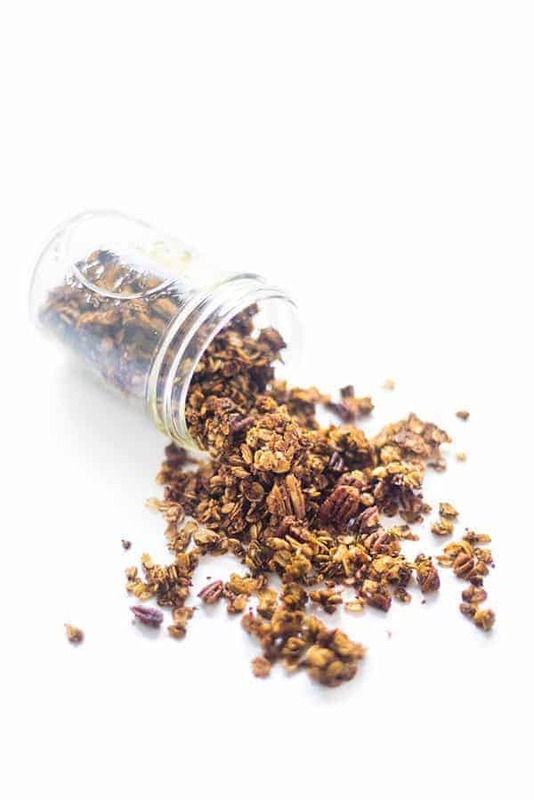 This granola will keep well for weeks if stored in an air-tight container. The options are endless. Pre-heat oven to 300 degrees and line a baking sheet with oven-safe parchment paper. In a large bowl, whisk together melted coconut oil, molasses, maple syrup and the spices (cinnamon through salt). Add in the oats, pecans and flax seed meal and stir until evenly coated with the molasses mixture. 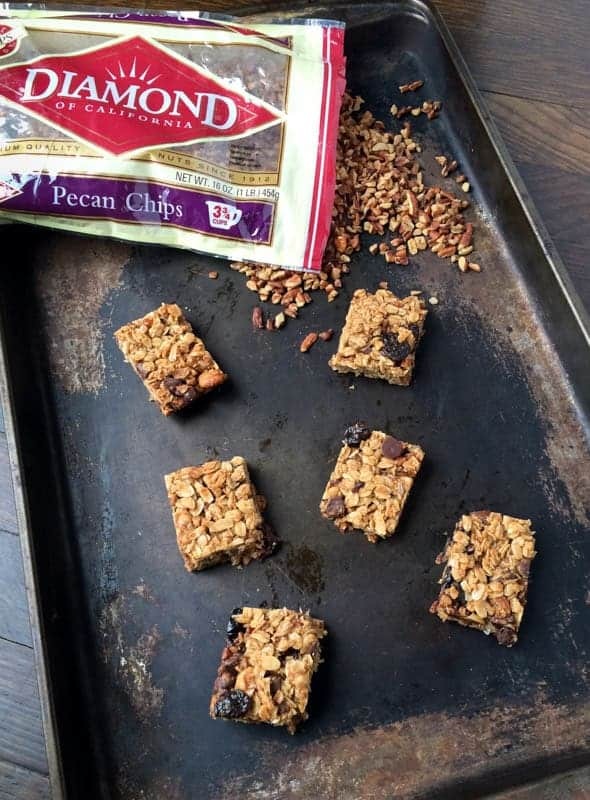 Spread oat and nut mixture evenly on parchment-lined baking sheet and bake for 30 minutes. 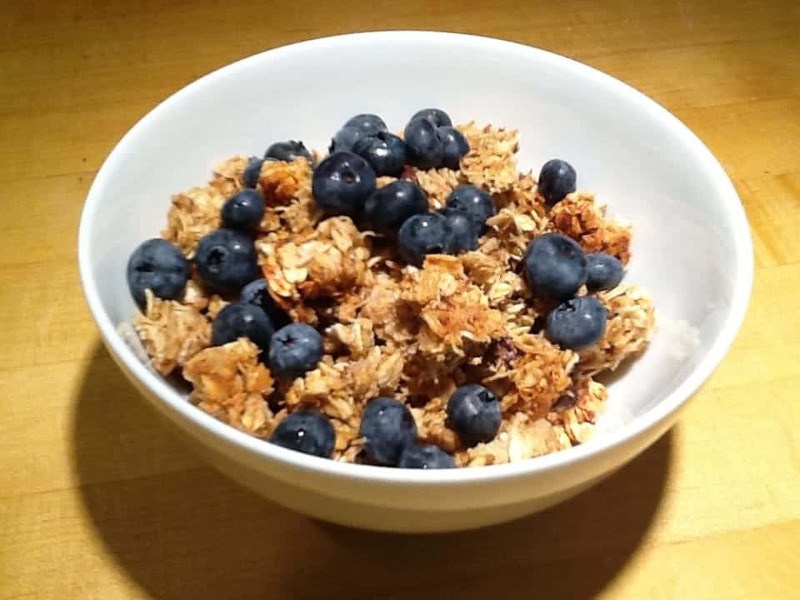 Let cool on pan for 30 minutes then break up granola into bite-sized pieces. 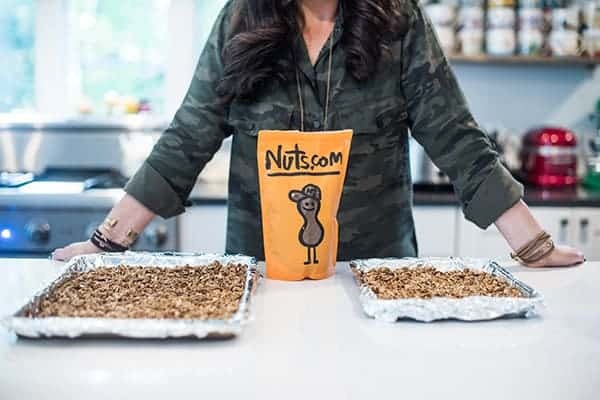 Disclosure: I am honored to be in a long term partnership with Nuts.com Thank you for supporting the brands that make The Lemon Bowl possible. All thoughts are my own. In the video you added maple syrup but I don’t see it listed in your recipe. Oops sorry about that! Recipe adjusted! 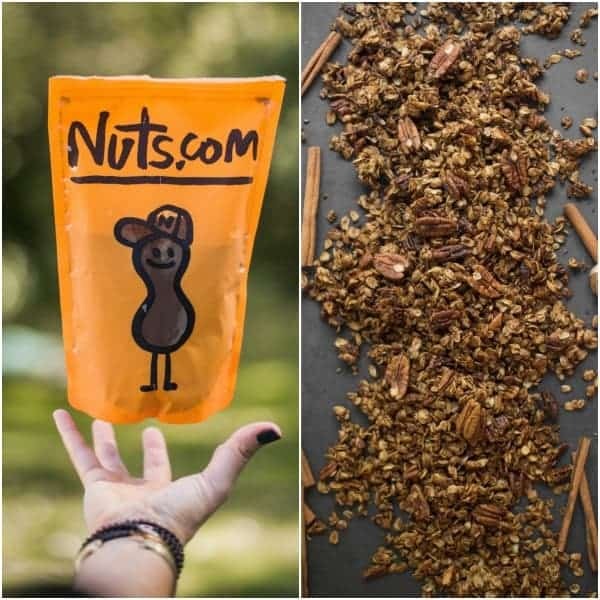 This is such a great granola idea and I bet it makes a great gift! The video I watched before clicking on the link to your page showed ground flax added to the ingredients but it isn’t listed in the recipe. Is it supposed to be listed and if so is it already calculated in the nutrition facts? So sorry about that Teresa!! I just revised the recipe to match the video. The nutrition facts didnt include it but it only went up 7 calories a serving and boosted the protein and fiber! I love these spices! 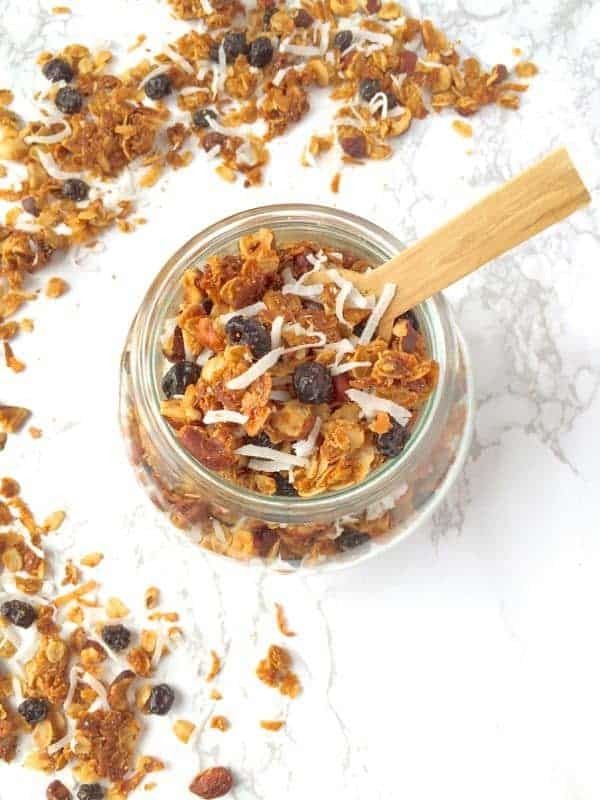 My family would devour this granola – need to make! Mmm, looks delicious…and I think I have all the ingredients on hand! I love the spices and flavors in this! I bet it makes your house smell SUPER good, too. Mmm. It’s the most delicious smell to come home to!